･ When getting a ticket at the station, please be sure to show the "Booking Confirmation" sent at the time of reservation completion. If you can't show this, we'll sometimes sell at the purchase price (¥14,500) at the station. Step 2. After entering in Japan, present the MCO with a passport at exchange locations, fill out an application with necessary details, and exchange for Kansai-Hiroshima Area Pass. Step 1. Book Kansai-Hiroshima Area Pass online, receive Booking Confirmation e-mail containing reservation number, and print out the e-mail. Step 3. 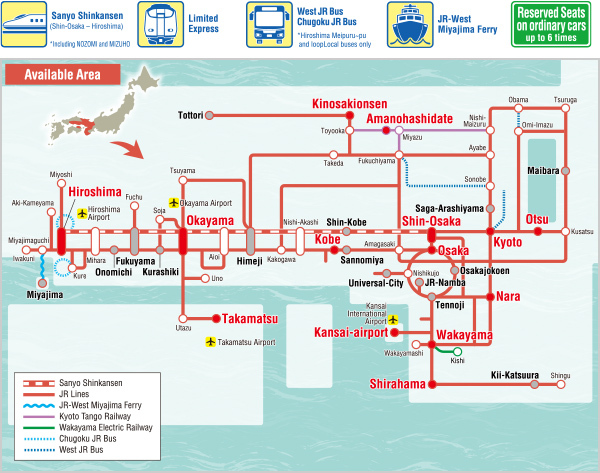 Pay for Kansai-Hiroshima Area Pass by cash or credit card. Step 2. 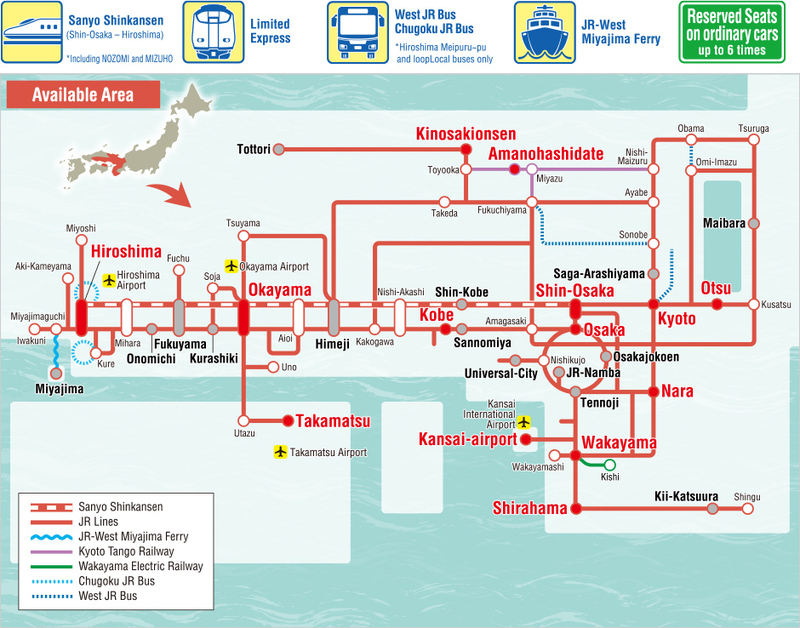 Purchase Kansai-Hiroshima Area Pass by cash or credit card. 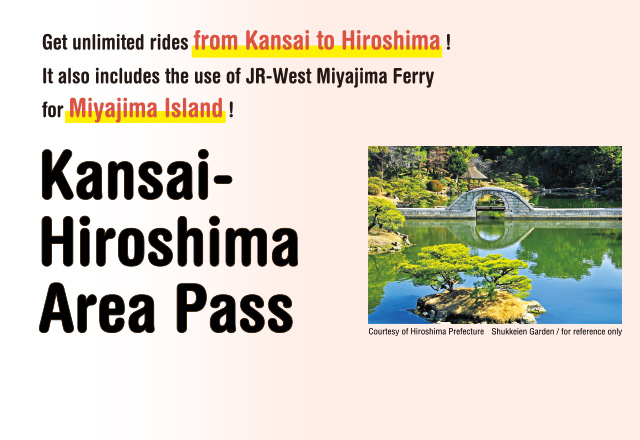 Kansai-Hiroshima Area Pass is usable.